These electronic holiday cards for business have captured a fantastic view of the Canadian Rockies. The snowy mountains in the background are glorious to look at and surrounding them is blue sky with white clouds. Patches of green can be seen in amongst the snow and it’s obvious that the picture was taken on a beautiful day. 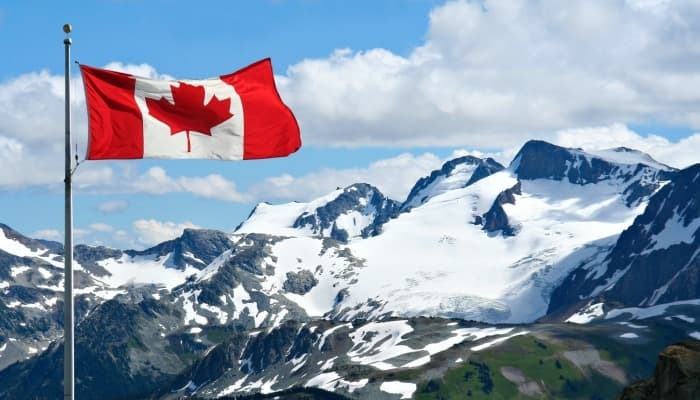 The Canadian flag flies proudly at the front of the ecards and almost sends warm greetings from the country all on its own. The snow makes this ecard ideal for the Christmas holiday season but it could be used throughout any time of year because of its sheer beauty. When you choose this theme, you can add different preferences to the e cards and personalise your message so the recipient gets your own words. These make great holiday ecards for business, so if you happen to have Canadian clients, they may appreciate this card as a thoughtful Christmas gesture. Alternatively, it’s great for family and friends that have Canadian roots. There are so many more themes to choose from, so whoever or whatever occasion you’re looking for, the perfect e cards is here!